Jorgy is the autobiography of an Inupiat man, born in an isolated mining community, having only an eighth-grade education, who, amidst a frontier mentality of conqueror superiority, surpassed the prejudice of his time to become a legendary aviator. Early aviation, the Alaska Territorial Guard, segregation, the DEW line, the Alaska Native Claims Settlement Act, and the Trans-Alaska Pipeline were part of this exciting and tumultuous time in Alaska's history. Boom and bust, exploration and exploitation to such an extent no one could have imagined or anticipated, was Alaska when Jorgy was growing up and flying. Holger Jorgensen recounts events in his life with a dry wit, describing his early years living a subsistence lifestyle, working in the gold mines of Haycock, mushing dogs as a youth and later in the Alaska Scouts, working for Sig Wien as a fire potter, learning to fly. 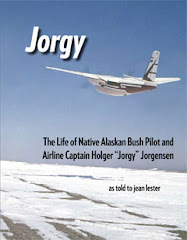 Jorgy's flying career was long and varied, from Alaska bush pilot to airline captain, working cargo planes hauling reindeer and fuel, heavy equipment and fish. He flew passenger planes, too, and worked for companies like Wien Air, Munz Northern Air Cargo, and Interior Airways. He was one-third owner of an air transport business. 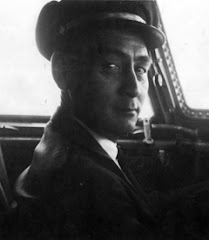 He flew all across Alaska and North America, Europe and Africa, logging almost 35,000 hours in the cockpit with only one minor accident. Jean Lester brings her talent for capturing the voices of her subjects to bear, vividly relaying Holger "Jorgy" Jorgensen's wry and laconic tales of his life in the northern air. Appendices by Captain Bill Rimer, Captain Tamar Bailey, and others add depth and insight into the amazing life of this extraordinary pilot. Jorgy is scheduled to be released May 2008.